THE ORIGINAL SOUNDTRACK OF THIS PARTIALLY LOST STORY. Arriving on Earth in 1975,the Doctor,Jamie and Zoe discover that the component manufacturers International Electronics has a vice-like grip on the worlds technology.When he encounters the firm's company director,the Doctor realises that there is something very odd about Tobias Vaughan! 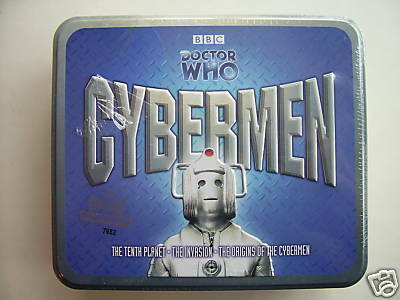 An introduction to the history of the Cybermen,written and read by the Cyberleader himself,David Banks. The Cybermen are one of the most terrifying races to have appeared in Doctor Who.Humanoid in physique but with a cold,terrifying menace,they returned to threaten the human-race-and the Doctor-again and again.